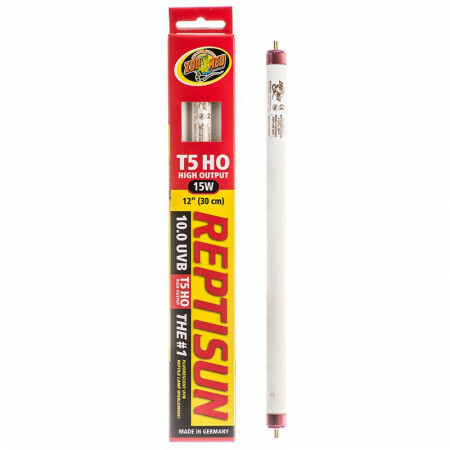 Zoo Med Reptisun T5 HO 10.0 UVB High Output Bulbs offer increased UVB and brighter light output that's perfect for larger reptile habitats. This helps enhance vitamin D production to prevent or reverse metabolic bone problems in reptiles. Measuring just 5/8" in diameter, this lamp doesn't take up valuable space, but is still twice as strong as standard 10.0 UVB bulbs. Ideal for large habitats, these lamps emit beneficial UVB light up to 36" from the surface of the bulb. 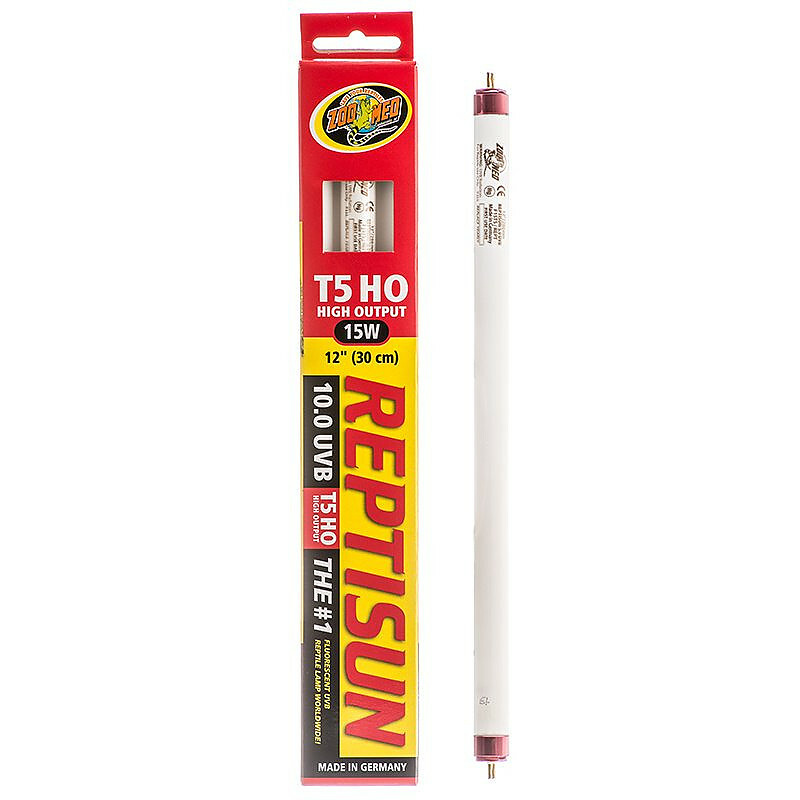 Reptisun T5 HO 10.0 UVB bulbs emit UVA (30%), UVB (10%) and full spectrum visible light, and are used and recommended by zoos, veterinarians and top reptile professionals worldwide. Use only in lighting fixtures rated for T5 HO (High Output) lamps. 1-year manufacturer warranty. Made in Germany. 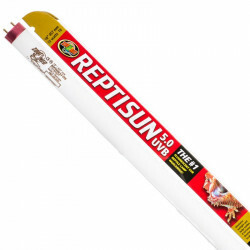 Ideal for: Bearded Dragons, Uromastyx, Monitors and Tegus, other desert species of reptiles. Bought 2 of these to replace the included 5.0 bulb in the Zoomed T5HO hood. One arrived broken. I contacted customer service, they responded immediately and another arrived within the next several days. Unfortunately the first one they sent me was broken I then contacted them they responded very quickly and replace them immediately awesome price. 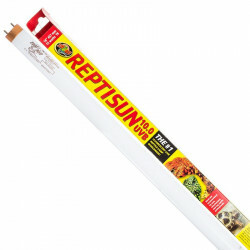 The Reptisun bulb came in great condition but would recommend putting fragile stickers on the box so it won't be carelessly dropped by the delivery men. Works really well in a $20 fixture I got from Home Depot! Overall the cheapest and best quality UVB bulb you can find and it shipped incredibly fast. This bulb fits in the light hood I purchased for my arcadia light, great that I didn't have to buy a whole new hood. My latest order arrived sooner than it said. The prices on this site are very good and, with shipping, cost less than my local pet stores. Pet Mountain did an excellent job and the product was received well packed and un-damaged. All the lamps lit on a test run. I am sure my daughter's pet "Dragon" Delilah will be much happier now! Very satisfied with purchase of this item and the price was great! Received light in a reasonable time limit. Impressed with packaging, and price of bulb was much better than local pet stores. 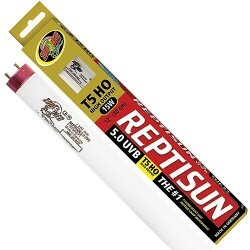 I ordered several items, including the long 46" UVB bulbs for a bearded dragon. They arrived last week, very well packed, but unfortunately the two long light bulbs were in pieces. I called customer svc, and Gina had replacements shipped out to me ASAP via FedEx, along with instructions to repackage the broken ones for FedEx pickup (so a breakage claim could be filed). Yesterday I recalled, hoping the promised replacement bulbs truly would arrive. Gina once again assured me, via tracking, that I would see them. They came late yesterday afternoon, intact. Beardie (Puff) was delighted to have his light back on! I have ordered from Pet Mountain a number of times in the past, and find them to have incredible values and incredible service. Whether ordering or after, they just can't be beat! (PS, thanks Gina, for the great help). We use these for our Bearded Dragon and are extremely happy thus far. Knowing the importance of proper lighting we won't skimp when it comes to Stubby's well-being. Pet Mountain has earned a new customer who will be back. Price was great and shipping extremely fast and bulbs packaged extremely well. Couldn't ask for a better online experience. The above and good prices and prompt delivery, what more could you want? This bulb fits the 36" T5 HO fixture. It is so bright, and really brings out the colors in my water dragon and the plants in the vivarium. The packing was excellent, no breaking of this very fragile product. Shipping time was great. I will definitely order this again and use pet mountain. I needed a T5 UVB bulb for my new light hood. I was very pleasantly surprised with this bulb. It puts out a lot of light as well as providing UVB. Petmountain shipped it quickly, had the best price, and wrapped it very securely for shipping. I'm very happy with my purchase and when I need a replacement I'll be back for more. Just got my new light and fixture and this new set up is awesome. It seems to be brighter than my old T8 system. Wow, another great product from ZooMed. The T8 is a great bulb, but this one is even better. 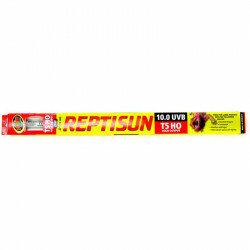 You get more light and you can't beat the price!! !